London was where it was all happening in 1980. I’d missed the start of punk, but the DIY ripples had hit my small town and there was a direct train to London. So on a Saturday, you could dress the part, get a train down and mooch around record shops, guitar shops, fashion shops, before going to a novelty fast food place called McDonalds. I was filled with wonder and amazement at everything life seemed to have on offer in London; I fancied the idea of going to university in London. But as a small-town girl, I also felt very backwards and overawed. Still do, I suppose. And I never wanted to be judged to be just a part-time punk! The most wonderful thing was learning how the Record and Tape Exchange worked. This company had a number of shops in Notting Hill, Camden and Shepherd’s Bush. 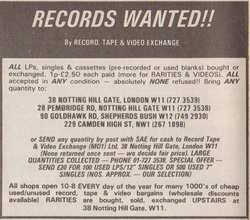 It sold records on a Dutch Auction basis where the price of second-hand records went down each week – Thursday I believe? – until a buyer was found. 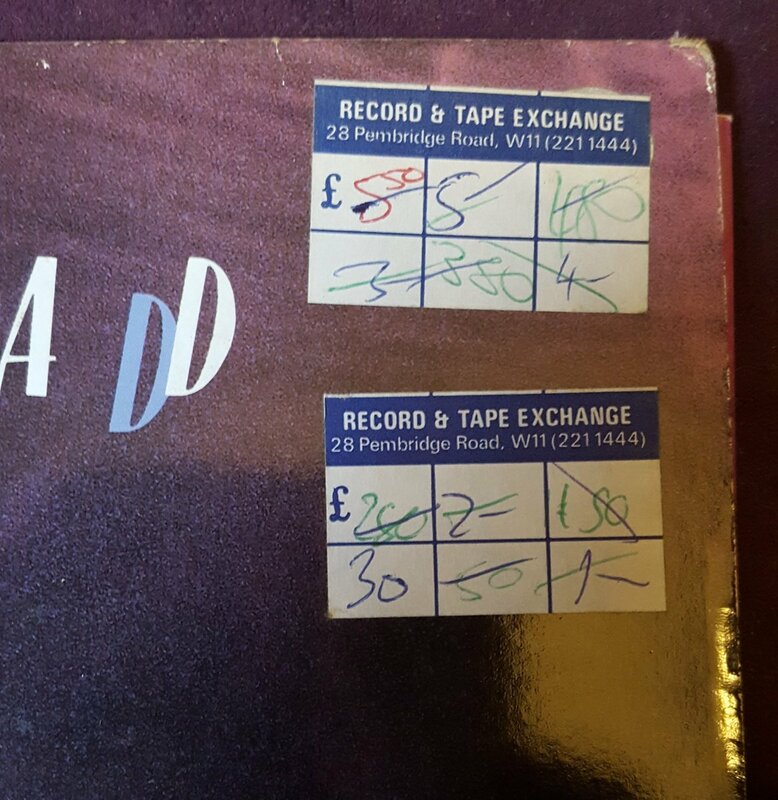 There were two possible wins; one was to strike lucky on the weekend after a desirable record appeared (If you didn’t fancy paying the high price, you could always hide the treasure in the Brass Band section until the next visit), and the other win was to trawl the bargain basements and find something old for 10p. 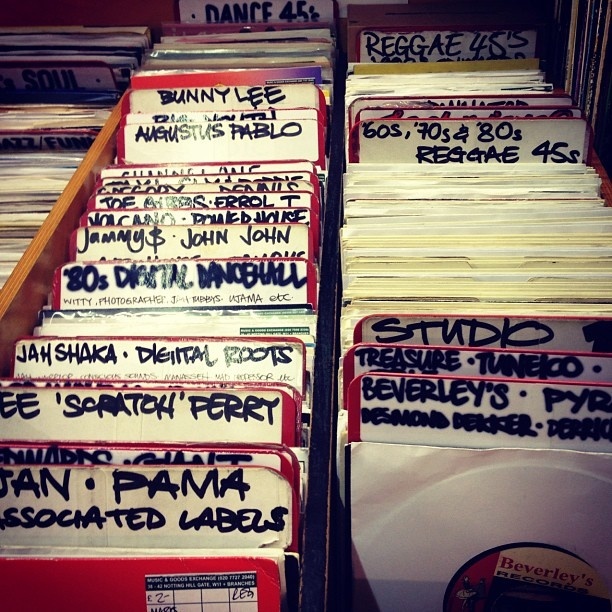 The different shops blur in my mind; one had a grotty damp cellar full of Doris Day and Harry Belafonte, whilst another seemed to have plenty of test pressings, ‘unofficial releases’ and other rarities. 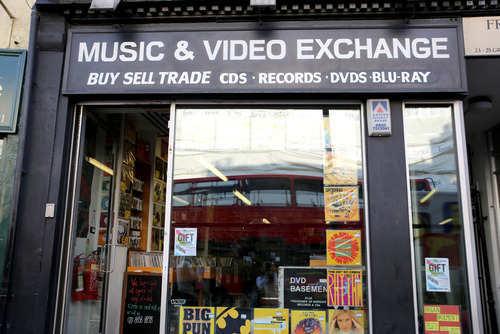 The Berwick Street shop continued for many years as ‘Music and Video Exchange’ but has now closed down. Ex-customers reminiscing on the Internet always mention the off-handed and rude staff in Record and Tape Exchange. I thought that was normal – in the early ’80s, this behaviour was what passed for cool! No refunds. No haggling.